When we ordered up our SP-260 we were excited about the upgrade that was included with the raised panel insert on the refrigerator. We've found, though, that the weight of the panel appears to be too much for the plastic piece at the bottom of the door that holds the panel on. We've opened the trailer door numerous times to see the door slid down and resting on the floor. The plastic piece does not appear to be broken and seems to clip back in fine, but then after a day or so will pop back off. I've thought about just putting some liquid nails glue on the back of the panel, but am trying to think if there's any reason i'd ever want to take it off later. Has anyone else run into this issue and figured out a solution? 2) the fridge dies and you want to keep that panel on your new fridge. Are you still under warranty? Dealer may have some additional suggestions., but certainly gluing the panel in place seems like the easiest fix. Quackor, I recall reading last year about the fridge panel falling off on a number of Flagstaff and Rockwoods. You might also want to search for those threads. I think 4kmprs experienced this and had the dealer do something to fix it. Get some Velcro and put a strip across the full width at the top and bottom. We're entering our third year with the trailer so Forest River warranty is gone, but we bought an extended third-party warranty that we haven't used at all yet. Wife called dealer and said they hadn't had any issues, which is a bit scary because I recall a new one on the lot when we bought ours that had this issue. I think 4kmprs experienced this and had the dealer do something to fix it. Thanks for the lead. I was able to find his thread. Looks like his dealer used screws from the bottom and BeagleIL used double stick tape. Also mentions of glue from the factory on others. We're going to run it to the dealer Monday for them to take a look at, but I was interested to get other's takes for "second opinions" if they want to charge to fix it or just pop it back on and don't resolve the issue. We've had little things here and there like screws on drawer guides pop out or the guides themselves break, but it was easier to just fix those than to try and schedule time at the dealer to fix. Glad that helps to give you some ideas. I agree that it helps to be handy to avoid the delays with running to the dealer for everything. Good luck with your fridge. Good idea. I've got some in the trailer that I've been using as I swap light bulbs out for LED panels. 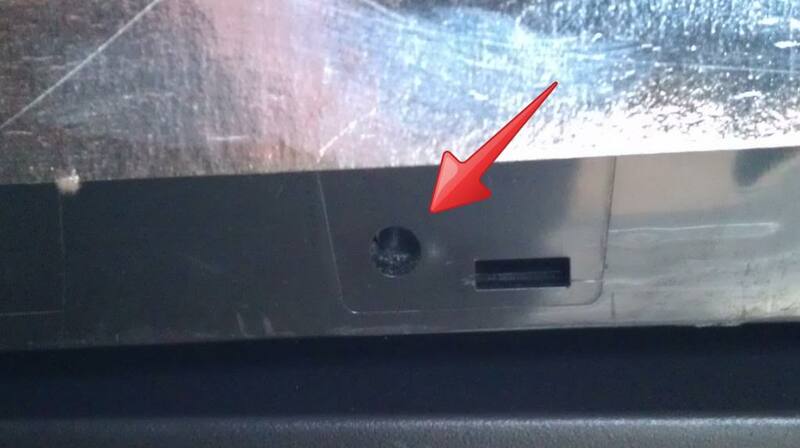 This would allow the panel to be removed it needed, but help take some of the weight off the bottom plastic clips. The plastic decoration strips at the bottom of the door are actually not there to hold the panel in place. There should be 2 plastic pieces that look like little dowel rods on each end that hold the panel up and then the decoration strip covers them. I'll have to take a look to see if I can see what they're referring to. I had my fridge replaced under warranty because of a hair line crack in the bottom corner. Anyhow, that's another story. After the replacement fridge was installed, the panels from the other fridge were transferred to the new one. When i got it home, the same thing that happened to you was happening to mine. After looking i noticed the plastic dowels at the bottom that are supposed to help support the panel. So, all I did after repeatedly reattaching the fallen down panel, was pull the dowel pins out a bit more instead of them being pushed in till they bottomed out. It appeared that the pins were just barely supporting the panel when pushed in all the way, and when you closed the fridge or bouncing when going down the road, the panel would come off the pins and pop out the decoration strip as mentioned above. Problem solved. The panel never fell off ever again. It's been almost a year. After looking i noticed the plastic dowels at the bottom that are supposed to help support the panel. So, all I did after repeatedly reattaching the fallen down panel, was pull the dowel pins out a bit more instead of them being pushed in till they bottomed out. Thanks for the tip. I checked the door and see holes where it appears dowels would go, but they look empty. I think I've got some wood dowels that will fit, or else I'll swing by Home Depot and see if there's something that size in the cabinet hardware.